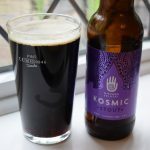 Until I discovered high-ABV imperial stouts, I wasn’t really a fan of dark beers. And, although I’ve enjoyed a few lower-ABV stouts, I was always a big believer that the best ones have to be big on alcohol content. My laughable view on the perfect ABV of a stout was finally disproved when I sampled Big Drop Brewing Co’s (imaginatively titled) “Stout” (0.5%). This is one of the beers that convinced me that low-alcohol and alcohol-free beers can be great. On the flip side however, Super Bock’s “Preta” (0.45%) stout was a little disappointing. 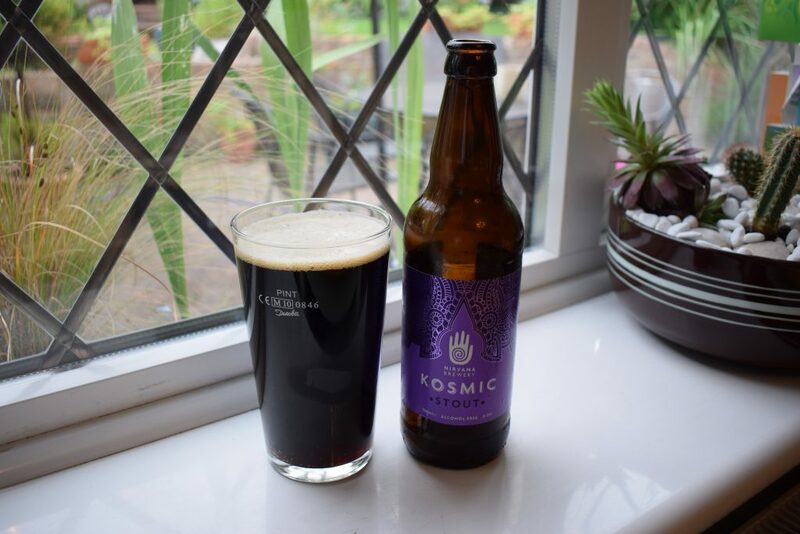 Another non-alcoholic stout on the market is “Kosmic” from Nirvana Brewery. Nirvana is a specialist low-alcohol brewer and Kosmic is one of two 0% beers it produces along with “Tantra”. 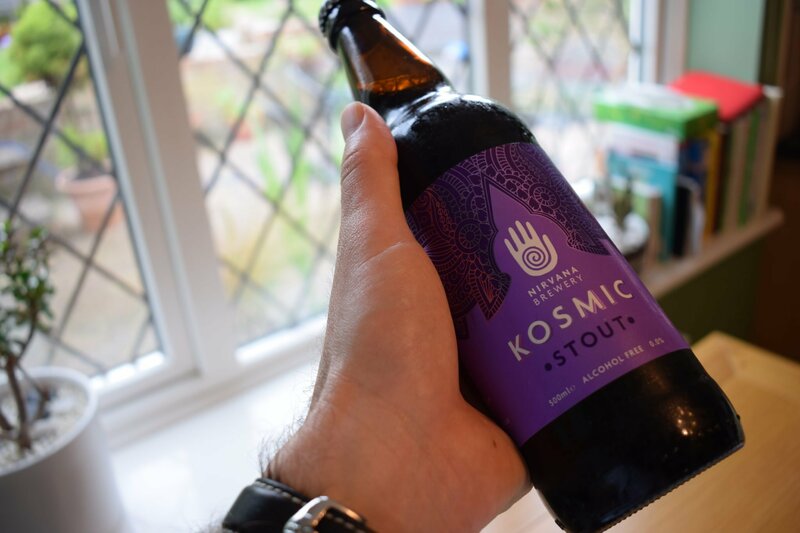 Unlike Big Drop’s stout, which contains lactose, Kosmic – like all of Nirvana’s beers – is suitable for vegans. Like Big Drop’s stout, chocolate is an ingredient. There’s vanilla too, along with the usual hops, malt, water and yeast. Kosmic looks exquisite, almost black, when poured. With its caramel-coloured head, it demands to be drunk. The initial aroma is reminiscent of other 0% beers that haven’t had the alcohol removed after fermentation. It’s worty and bready, with a slight sweetness. A little of the roasted malts slide into the aroma after a few deep sniffs. But there’s no sign of the chocolate or vanilla. There’s less wortiness and breadiness in the flavour, which is less intense and less sickly than other 0% beers. There’s a little liquorice and treacle, which adds interest. Again though, I failed to detect the chocolate and vanilla promised in the tasting notes. The wortiness fades the more you drink. The mouthfeel is good and not unlike a 4 or 5% stout. It’s lightly carbonated and has the tingle of a cask-conditioned ale rather than a bottled beer. There’s a classic dry finish, much like what you get when eating dark chocolate. This is a decent example of a 0% beer, and is much more drinkable than other 0% beers like St Peter’s “Without Original” and Innis and Gunn’s “Innis and None”. 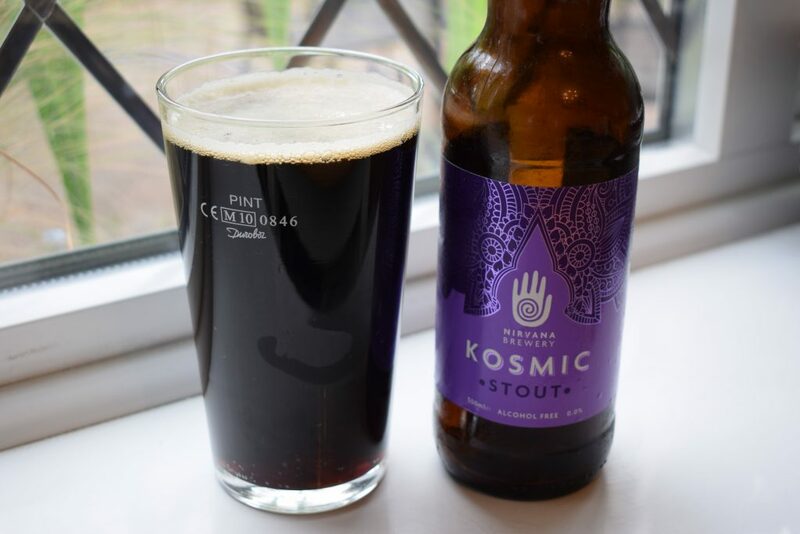 However, with worty, bready aroma and taste, and lack of roasted malt in the smell and taste, I doubt I’ll return to this when I’m in need of an alcohol-free stout.